Three superb penthouses boasting spacious interiors and views. All three are in prime locations in Grand Canal Dock and Ringsend. 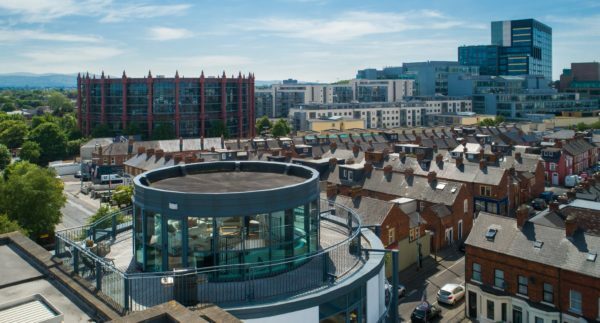 A living room with 360 degree panoramic views is a rare thing but it’s a case of spot the landmark from the penthouse at Shelbourne Park; with views stretching from the Aviva Stadium and Grand Canal Dock to the Dublin Mountains and the coast. 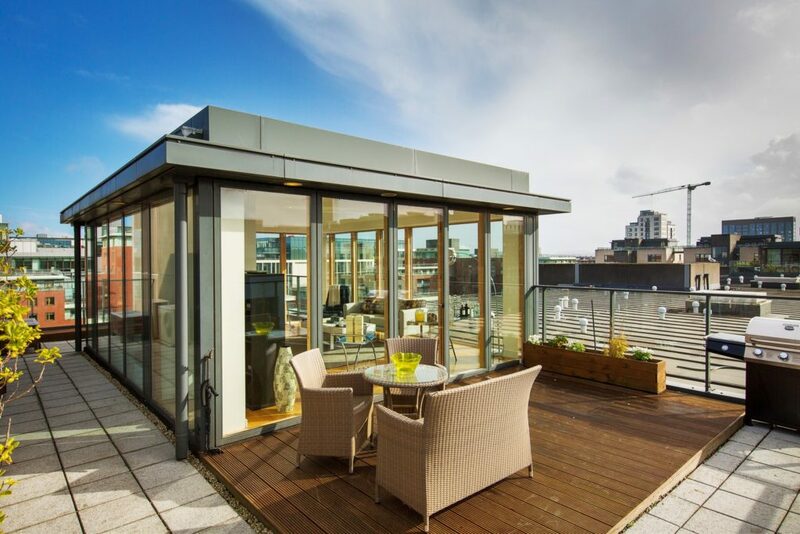 This loft-style penthouse is perfectly located within walking distance of many fashionable neighbourhoods such as Beggar’s Bush, Grand Canal Dock, Ballsbridge, Sandymount, Baggot Street and St Stephen’s Green. 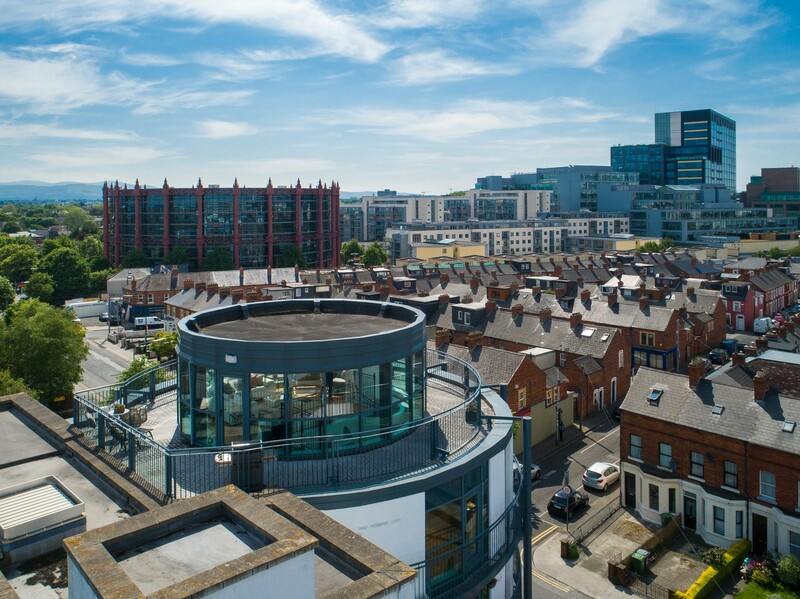 The duplex – number 47 – is the only penthouse in the scheme which has about 100 apartments and it comes with two parking spaces. No 20 Hanover Riverside taked its place on the Dublin skyline at Hanover Quay in the vibrant Grand Canal Dock. It is 125 sq m three bedroom duplex penthouse with a roof terrace on the sixth and seventh floor of the building. The accommodation briefly comprises a welcoming entrance hall at the lower level with storage closet, a contemporary kitchen/dining room with a west facing terrace, three double bedrooms, master en-suite and a main bathroom. On the upper level there is a light filled living room with floor to ceiling glazing to enjoy the surrounding city views and access to an attractive roof garden. 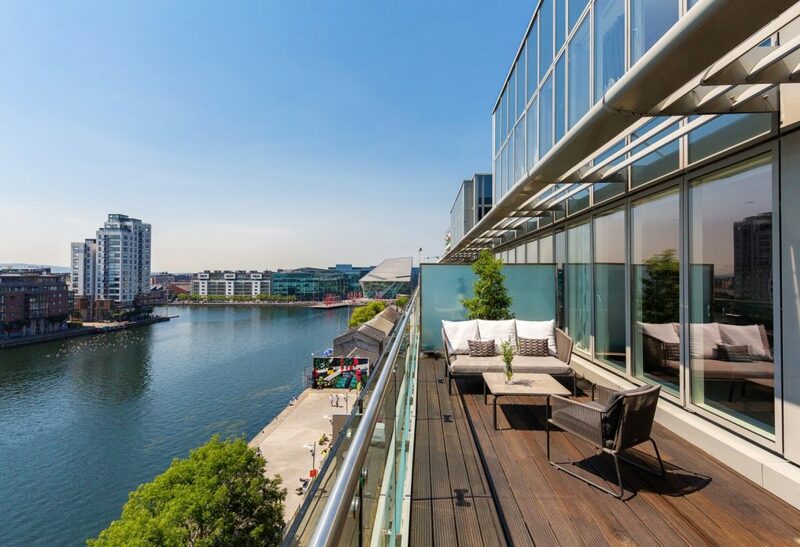 Spectacular duplex penthouse with panoramic water views in the heart of Grand Canal Dock, Dublin’s’ most sought after city quarter. The south-facing, light filled and generous interior (c. 166 sq. m. / 1,787 sq. ft.) is laid out over two levels and is further complimented by extensive terrace space which extends the overall accommodation to 230 sq. m./ 2,475 sq. ft. The views from the living room, master bedroom and terrace are second to none, incorporating the Grand Canal water basin, the Aviva Stadium and the Dublin mountains. Must be viewed to be appreciated!